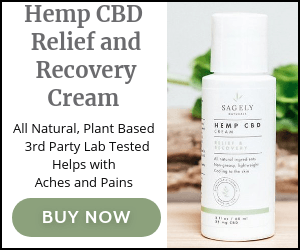 Charlotte's Web (CW Hemp) CBD Oil Review Wowed Us! Charlotte’s Web, otherwise known as CW Hemp, is one of the top rated companies producing CBD oil and they’ve definitely made their mark on the cannabis industry. This brand is well known and quite recognized throughout the world. In fact, they’ve reached so far and wide that time after time they continue to receive honorable industry related rewards. As you can imagine, Charlotte’s experience helped put CBD oil on the map. People suffering with seizure disorders began taking CBD and also experienced tremendous success. Although it isn’t legal to purchase certain forms of cannabis infused CBD oil, the Stanley Brothers recognized the value of hemp-based CBD, which they created and now sell all across the world. Charlotte’s Web is one of the top oils of its kind on the market today and it helps with stress, pain management, seizures, and other health-related conditions. This company sells a number of different products on their website, but mainly their biggest product is called Everyday Hemp Oil. It’s perfect for those looking to improve their overall health and wellness. Although we do not know too much about their extraction process, you can believe CW Hemp is using the top methods because customer testimonials are always positive and people rant and rave about how great their products are. Depending on what you’re looking for, you can get a bottle of CBD oil from their site for as low as $39.99 or as high as $299.96, depending on the size and other factors. So if you want top-quality CBD oil, we highly recommend visiting the Charlotte’s Web website at www.cwhemp.com. Based out of Colorado, CW Hemp is an international company and family-owned business shipping products throughout the entirety of the United States as well as across the globe. As touched upon earlier, this company has been in business for nearly a decade and their reputation is impeccable. They exclusively sell Charlotte’s Web, a hemp extract loved and trusted by many. The Stanley Brothers originally founded this company by producing CBD oil, but their operation has expanded tremendously and they now sell other products including skin creams, balms, capsules, and topicals. Their hemp is grown in the US right in their home state of Colorado. Colorado residents, due to specific legalities surrounding cannabis, are lucky enough to enjoy their powerful and potent product Charlotte’s Web. Others living in other parts of the US can enjoy their CBD hemp oil, which is perfect for pain management, stress reduction, relaxation, and overall health. The Stanley Brothers came up with their proprietary Charlotte’s Web CBD oil formula and used it to help Charlotte Figi. This story shocked the world to say the least and after giving CBD a chance, this little girl experienced miraculous seizure reducing results and doctors were baffled at first. They put their oil through rigorous testing and the results are always positive. Users consistently provide positive and powerful testimonials about their experiences using CW Hemp products. They offer 300 mg versions of CBD that are great for stress and mild pain management. Their product containing 1000 mg is incredible and can treat all sorts of medical conditions including stress relief, anxiety, insomnia, and pain. Their price is in line with other similar CBD oil companies. The larger milligram bottles are a bit on the expensive side, but the lower milligram bottles are relatively cheap in comparison. You can run a tight ship and attempt to do everything absolutely perfect, and no matter how hard you try you will have your detractors and CW Hemp is no different. First, customers have complained about the length of time it takes to receive their shipment. They claim to have your shipment to you within 13 days, but many customers have experienced longer waits. Second, unfortunately their customer support is lacking. They aren’t very responsive to their customers and they take time answering their questions and concerns. If they could improve in these two areas, this brand would dominate the market. So hopefully they read this and take steps to correct these issues. I’ve had the privilege of personally trying Charlotte’s Web. Although it isn’t easy to come by outside of Colorado, and it’s a bit on the expensive side, it’s also an incredible oil to say the least. Just like me, other customers who have tried the original Charlotte’s Web CBD oil absolutely love it because it’s potent, powerful, and it definitely helps. In fact, I suffer from chronic back pain and anxiety disorder. This oil helps relieve both of these conditions and it’s really nice to know that this option is available. Topicals – the topicals from CW Hemp are available in two forms. You can buy their balm or their infused cream. The balm contains 150 mg of hemp extract. The cream contains 750 mg of hemp extract. CBD oil – the CBD oil from CW Hemp is available in numerous prices, sizes, and potencies. A popular option is their Everyday Advanced Hemp Oil, which contains 50 mg of CBD per 0.6 mL serving. Other options include 10 mg of CBD per 1 mL serving and 25 mg of CBD per 1 mL serving. CBD capsules – some people prefer taking CBD in capsule form. Each of their capsules contains 15 mg of CBD. Each container has 30 capsules per bottle. As an adult, you can take a capsule once or twice a day safely. Prices – their CBD oil ranges from $39.99 to $299.96 per bottle, their capsules range from $34.99 to $69.99, and their ointment ranges from $14.99 to $49.99. CW Hemp is definitely a big player in this industry. In fact, their Charlotte’s Web story helped put CBD oil on the map. So you shouldn’t be surprised to learn that they live up to their well-deserved reputation, although they could make a couple of adjustments to improve their company even more. We love CW Hemp and give them our highest recommendation. To discover more about their products, please take a moment to visit their website at www.cwhemp.com.